As Low As $42.95 ea. As Low As $54.95 bx. As Low As $6.50 ea. As Low As $14.95 bx. As Low As $2.50 ea. 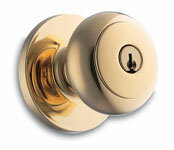 The modern guestroom door lock affords convenience and security. With more than 28 years in the hotel industry, we have added high-quality hotel key cards and envelopes that are compatible with leading key card lock systems. 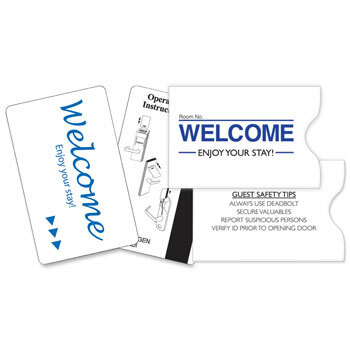 Each hotel room key card sports a welcoming message and measures 3 3/8 x 2 1/8 inches. Also, each comes with a 3 5/8 x 2 7/16 inch envelope, with 500 card/envelope combos shipped per box. 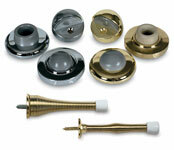 Make every hotel room neat and sanitary with a hotel key card lock cleaner. Not only do guests have convenient RFID key cards with magnetic strips, they also have room keys to use with a clean card reader. This ensures it works as designed every time room keys are swiped. 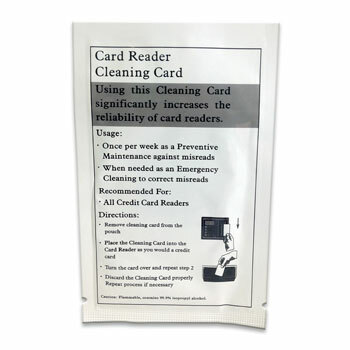 This product is recommended for weekly maintenance and emergency cleaning, for facilities in all hotel chains.